Here’s Julianne Hough’s short hairstyle, which is a great example of shaggy-chic for those who like extra volume without curls. The chic messy bob hairstyle is cut in long layers which are heavily razored in the lower lengths to create fabulous shaggy texture and extra volume. The styling is messy, with an unusual crooked parting and defined strands draped down to form a trendy long fringe that finishes by the lips to accentuate the mouth. The wheat blonde ombré at the ends also creates the clever visual illusion of more volume around the neck in this casual-formal style! 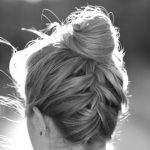 Do you love this overnight hairstyle? This cut is perfect for oval, oblong, square, and diamond face shapes. 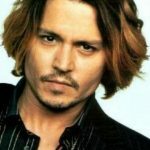 Under: Male Celebrities Johnny Depp Haircut: Fashion Ombre Hair for Men!